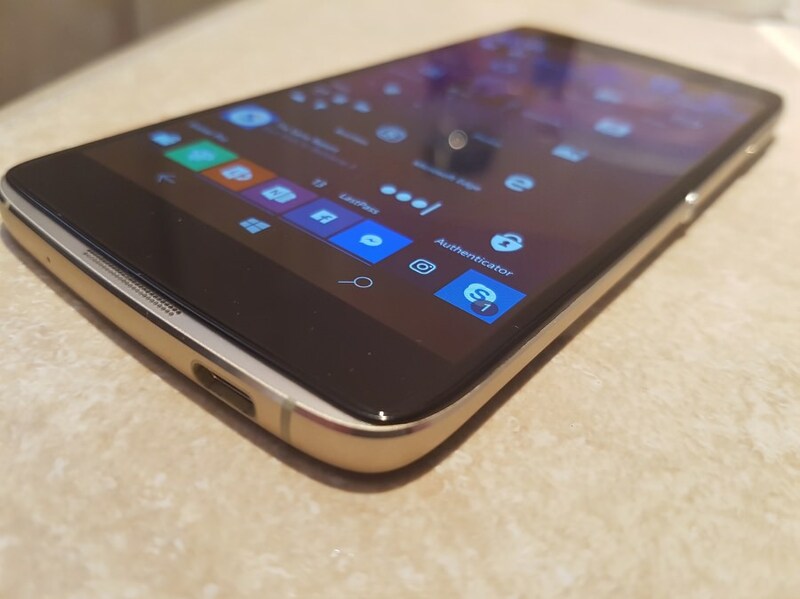 Four weeks ago, Anthony Fear penned his initial review of the latest Windows 10 Mobile flagship, the Alcatel IDOL 4S from Canada, one of the few countries for which this smartphone is available (so far). Now he's back, with more thoughts and a long term verdict after using the device day in, day out, for a month. Lets get the obvious question out of the way: “Am I still using it as my daily driver?”, or have I switched back to a Lumia or perhaps the Elite x3? One of the appeals of this device is the design, it’s beautiful in the hand, well made, and after 4 weeks of use has shown no obvious signs of wear or poor build quality. 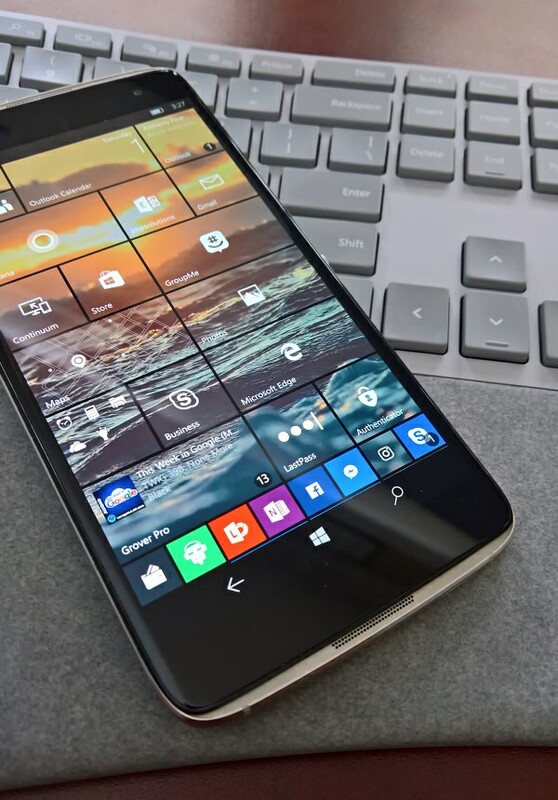 In my opinion, it is the best looking Windows 10 Mobile device on the market. 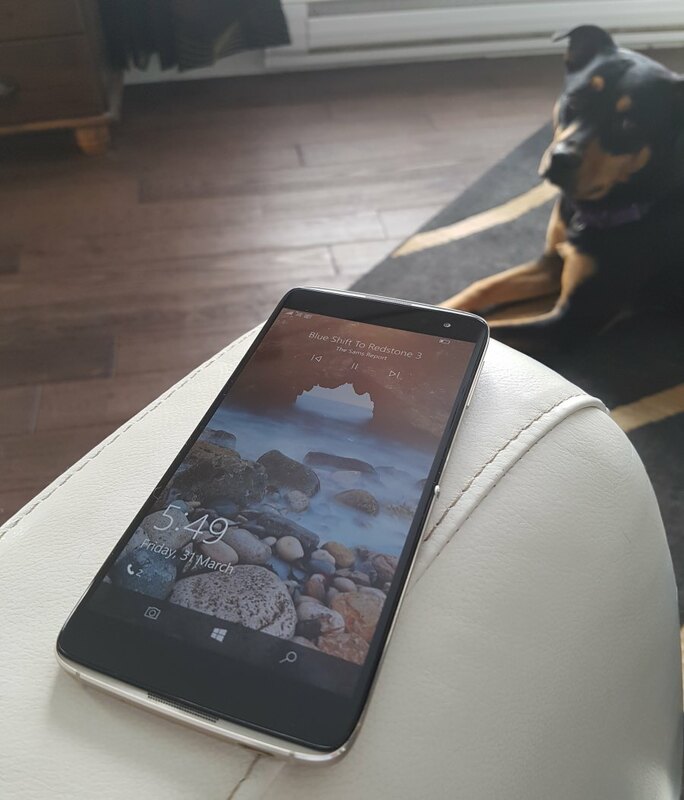 Since my initial review, I’ve enrolled the IDOL 4S in the fast ring of Windows Insiders and so am running the most current Creators Update builds. This means that I can compare it directly to the 950XL, which is also on the same build. So which is faster? Honestly, in daily use it’s impossible to tell. Even with the two devices side by side in testing, they are neck and neck at almost every task. So although the IDOL 4S comes with the improved Snapdragon 820 chipset, I really haven’t noticed any significant performance increase. The IDOL 4S screen is lower resolution than that in the Lumia 950XL, but as I mentioned in my original review, there is just something about this screen that I love. The blacks are super black and the colours are really vivid and bright. So much so that when I go back to the Lumia 950 XL, the colours (especially the blues) seem washed out and dull. I have even adjusted the 950 colour profile to ‘vivid’, but they still don’t seem to ‘pop’ like the screen on the IDOL 4S. Amazing. Although the higher resolution on the Lumia 950 does mean that some apps show more content - Twitter, for example, fits more on the screen, as does my podcast app of choice, Grover Pro, but in daily use I don’t miss those extra pixels. I don’t even notice when watching Netflix or Youtube. I’ve never noticed any pixellation and in fact I miss the screen when I switch to other devices. OK, let me start by saying that I never understood Steve’s fascination with phone loudspeaker quality. I’ve listen to him and other co-hosts on Phone Show Chat talking about speaker quality on various phones but I just never understood the issue! To me it is just one of life’s facts; that smartphones have terrible speakers and they simply vary from really bad to acceptably bad, that’s just the way it is. Even the mighty HP with Bang & Olfsen’s assistance (in 'theory' - Ed) weren’t able to produce anything dazzling on the Elite x3. That’s why I never relied on speakerphones. in my car I’m connected with Bluetooth, in the house I either use headphones or connect to an external speaker – that’s just the way things are meant to be! BUT. The IDOL 4S has changed my mind. Over the past 4 weeks of use, I find myself using the fabulous stereo front-facing speakers more and more. Not in the car so much, but around the house, on a conference call, when watching Youtube or Netflix – I do all these activities now without headphones or connecting to external speakers – decent loudspeakers on a phone is lifechanging! Don’t get me wrong, they are not to going to blow you away as an audio system – but compared to ‘other’ phones they are superb. So I’ve been spoiled, it’s difficult to use a device without decent loudspeakers now. I thought the Lumia 950 XL's speaker was bad before, now I can’t stand it! The IDOL 4S camera takes ‘good enough’ images. I’m not a very frequent user of the camera on my smartphones but like most Lumia users I’ve been spoiled and have come to expect great camera quality. The IDOL 4S is, as I say, good enough for most casual users. It’s definitely nowhere near Lumia 950 quality but it’s good enough for posting online and viewing on the phone. Viewing photos on a big screen shows up the quality differences but I do that so rarely that it’s not a show stopper for me. Do I wish it had a better camera? Yes, of course, but it hasn’t stopped me from using the phone as my main device. Once thing worth mentioning is that, since installing the ‘fast ring’ builds of the Creators Update, HDR photos are now so slow as to be almost unusable. The IDOL 4S takes around 5 seconds to capture a shot with HDR turned on. This isn’t just processing time like the Lumia, where snapping multiple HDR images slows the phone down. No, on the IDOL 4S when you hit the capture button, the screen goes black and doesn’t come back on again for 5 seconds. The most annoying aspect of this is that more often than not it results in blurred images, because I’m never quite sure when it’s actually taking the image. I tried switching to ProShot as my camera app and while that does produce super images, HDR mode still seems to take around 5 seconds on the IDOL 4S whereas it’s almost instant on the 950 – this wasn’t the case on the original software, so I wonder if a firmware update from Alcatel or a software update from Microsoft could fix it? Whatever the cause, HDR is useless at the moment. Some other little glitches I’ve noticed. Cortana used to trigger all the time on the factory OS, so much so that a simple ‘Hey’ would trigger it, you didn’t even need the C word! This has been greatly improved with the latest Windows 10 Mobile builds. For a while, the phone would stop responding to voice if left for long periods and would require turning off the feature and turning it back on again. But a device reset has cleared that problem up. This is a strange one, the 'reversible' USB Type C port is super fussy and must be plugged in the right way around! 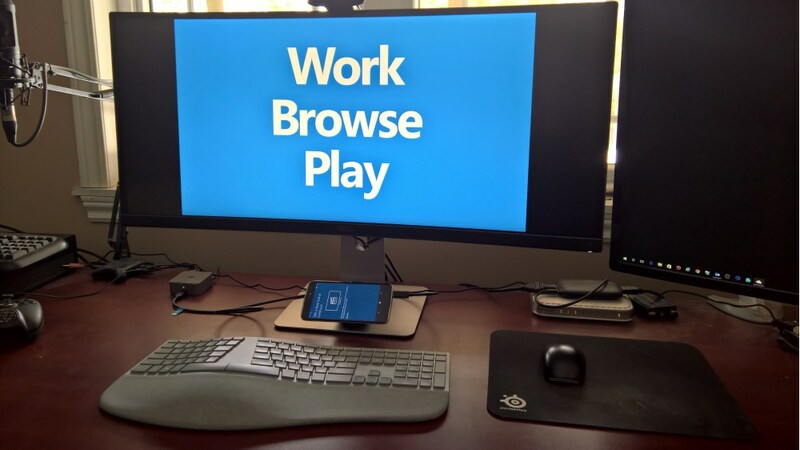 I normally plug the handset into my Microsoft Continuum dock to charge it. I had noticed that occasionally it wouldn’t connect to charge properly. After digging into the issue I confirmed that it was related to way the cable is connected!! Inserting it one way results in the phone charging, but Continuum won’t work properly, but when removed and twisted 180 degrees and inserted the other way around it works perfectly. I tried changing cables but got the same result. 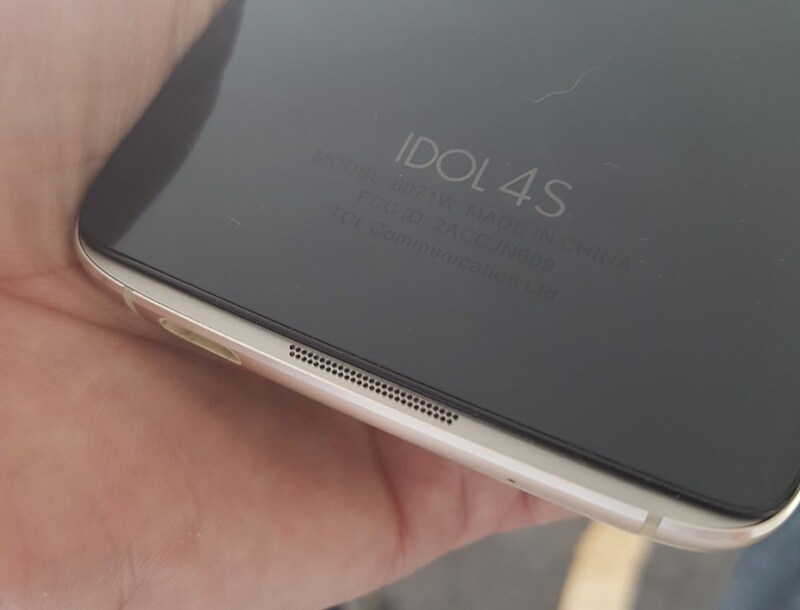 So it's down to the IDOL 4S's port, at least on my specific unit. I can also reproduce it when plugging the device into a PC too. One way around and the PC won’t detect it as a USB device (even though it will charge), but turning the connector around results in the PC detecting the phone and being able to connect it. Very strange! I won’t dwell on this because, quite honestly, VR on a smartphone is a gimmick at best and on the IDOL 4S it’s just not even worth wasting your time on. I had trouble getting the IDOL 4S to run the VR software the right way up, meaning the image would be upside down when inserted into the headset. The touch controls on the freebie headset are terrible and often fail to respond to touch at all meaning you can’t ‘action’ things within VR. I really like the IDOL 4S, the screen and speakers are difficult to live without once you get used to them and I appreciate having such a well made device over the terribly cheap feeling Lumia 950 range. I can live with the camera. I like the dedicated camera button (but I’d switch that and the power buttons around). 64GB of storage is plenty and I don’t need additional microSD expansion. The Snapdragon 820 is great and I have no performance issues. 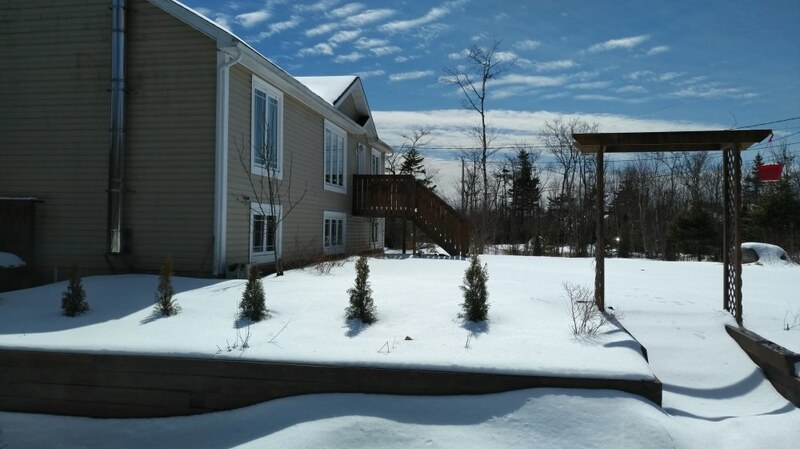 The slowness of HDR mode in the camera under latest builds is a shame. The un-reliability of VR is a letdown. I’m hoping that a future OS update or perhaps a firmware update from Alcatel will resolve these last two items/issues. Overall, I still think the IDOL 4S with Windows 10 (or IDOL 4S Pro as it will be known in Europe) is one of (if not) the best Windows 10 handsets you can get right now. It’s well priced, has good specs, is well made, looks great and performs well. If you are in the market for a W10M device, you can’t go far wrong with this one.